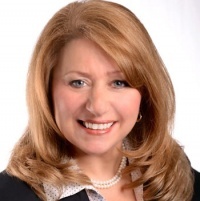 Berkshire Hathaway HomeServices Verani Realty (Verani) is pleased to announce that Teresa Vitelli has been named director of growth and development. In her new role, Vitelli will focus on building the Verani team in New Hampshire and Massachusetts with quality real estate sales professionals by growing new market areas, recruiting talented agents, mergers and acquisitions, and the development of existing agents. Most recently, Vitelli was regional manager of Verani’s Somerville office, which serves the Greater Boston area. She is a broker with over thirty years in the real estate industry and is experienced in residential, luxury, commercial, and investment properties. She is known for her enthusiasm in providing exceptional customer service and helping agents elevate and grow their careers through branding, global outreach, mentoring, coaching and educational services. To contact Vitelli about beginning your real estate career call 860-770-2358, email teresa.vitelli @verani.com or visit our Careers page.